Joel founded the Stahancyk, Kent & Hook Central Oregon office in Bend in 1998 and has worked for the firm since 1994. He was elected a shareholder in 1999. Joel is a leading litigator in complex dissolution cases throughout the state of Oregon and successfully represents numerous clients in divorces involving complex financial disputes, business valuation disputes, custody disputes, support modifications, stock disputes, agricultural matters, prenuptial agreements, and post-marital agreements. He has years of experience litigating, mediating, and settling divorces involving business interests and issues of business valuation. Joel travels statewide to accommodate client needs. Joel is a member of the Family Law Section of the Oregon State Bar. He has been a member of the Central Oregon Matrimonial Attorneys for the last twelve years and the Inns of Court since 1999. He has served on the Deschutes County Family Law Advisory Committee since 2007. Joel believes that for everything he gets from the Central Oregon community, he must give back three times over, and the most important place to start is with the youth. Upon moving to Central Oregon, Joel began volunteering as a head coach with the Rimrock Volleyball Club and has coached the eighteen-year-old girls’ elite club team ever since. Through the years, Joel’s creative and effective coaching techniques have garnered numerous tournament wins. Joel’s players have succeeded at a high level, including six High School Player of the Year Awards, 37 All-State players, and 10 State Championships with their respective high schools. Most players continue to college, the majority on volleyball scholarships, which Joel takes time to help them secure. Alumni from his teams also include three Collegiate All-Americans and a Head Coach at Eastern Oregon University. In addition to his love of volleyball, Joel is an ardent golfer and road biker. Taken from a competitor’s website: “I know an attorney relies on the facts given by the client, but this attorney needed help (from me, his client’s wife). I guess he did an okay job for my ex-husband, but I feel I got a better deal using Joel Kent.” — C.R. “Thank you so much for representing me so well today. I really appreciate what both of you have done and are still doing for me and my family. I have never been represented so well nor had things go so smoothly. I am not looking forward to continued litigation yet am hopeful the outcome will be positive. I hope you both have a wonderful holiday season with your families. Thank you.” — T.
“You smooth over the rough edges both in and out of court. You’ve equipped me to survive whatever bumps the future may offer. I know I had the best there is representing me. Thank you seems so small for what you went through to “win” this case. In appreciation.” — K.W. “Outstanding Advice from Stahancyk Firm – I cannot say enough good things about the legal services and advice I received from Joel Kent and Tara Costanzo at the Stahancyk, Kent & Hook law firm. 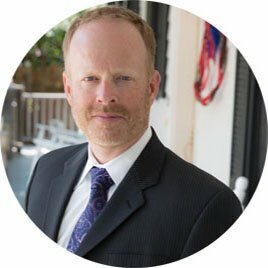 I am an attorney from out of town, so was looking for someone who knew the local courts, judges, and customs, and could give me good, solid advice in a dissolution/custody dispute. From start to finish, every step of the way, Joel and Tara gave me sound, careful, and accurate advice, predicting what would happen to a very high degree. Not only that, they were prompt, authoritative, and took the initiative to plan ahead in the case, so that we were always well prepared. As a careful consumer of legal services myself, I can say I was completely satisfied with their representation, and would not hesitate to recommend them for any family law problem.” — B.V.N. “Thank you for all your hard work on my case. My family and I really appreciate what you are doing for us.” — T.
“Thank you for all your hard work with my case, I really appreciate all that you are both doing for me and my family. I feel confident with both of you on my side that I will be represented well. Thank you.” — T.
Any result achieved on behalf of one client in one matter does not necessarily indicate that similar results can be obtained for other clients.